This one survived several days in an aquarium before being photographed. Leptophlebia cupida is known as a durable species. I'm trying to try a similar specimen (link to the next specimen) and see how that works. This mayfly was collected from the Namekagon River on February 4th, 2004 and added to Troutnut.com on January 25th, 2006. 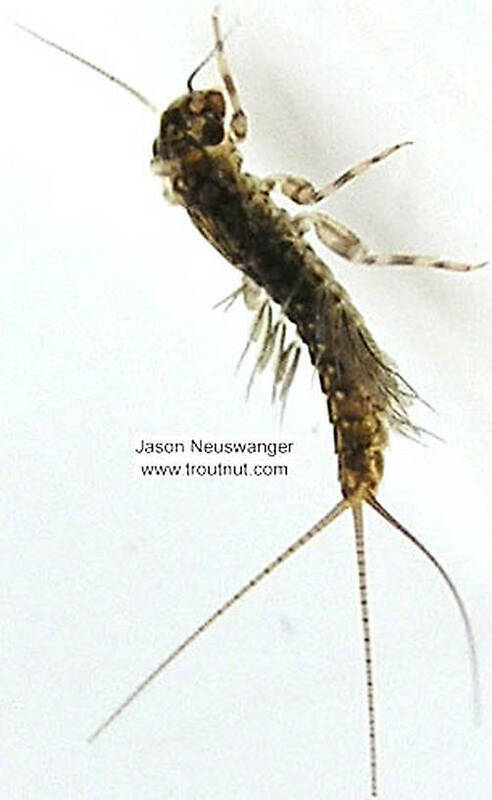 In angling books, Leptophlebia mayfly nymphs have a reputation as poor swimmers. 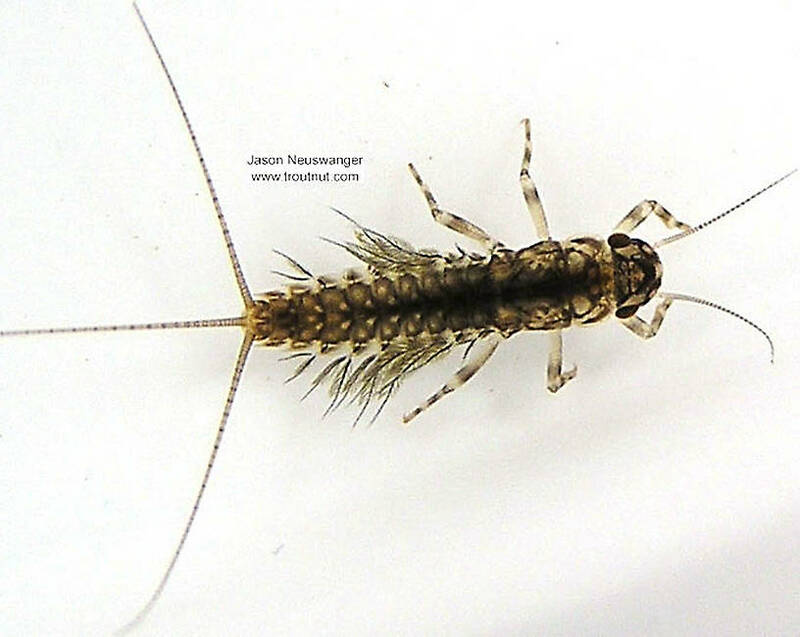 In reality, they're very adept swimmers, much moreso than most other mayfly nymphs categorized as "crawlers."